Madhur Rajpal was born in India and was introduced to Yoga and meditation at a very young age by his father. If we talk about his educational qualifications, he is an MSc in computer science, however, he clearly understood the power of Yoga to transform an individual’s life right from his childhood so his focus remained undivided for Yoga and he made up his mind that Yoga will become a way of life for him. Clearly, he has been living and breathing yoga all through his life now. Madhur is certified by Yoga Alliance in USA and Canada as an E-RYT (Experienced Registered Yoga Teacher) and by Yoga Alliance International India as well as the Indian government. Having spent good 7 years at Osho International Pune resort, he learned the various meditation techniques to develop a clear mind and spirit and a healthy body as a whole. He also successfully completed many courses which include the training program at the legendary Sivananda Ashram in Kerala. 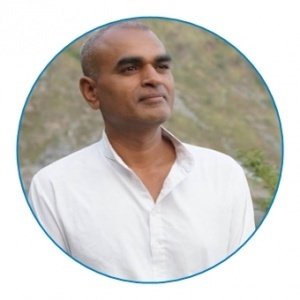 It’s more than 20 years that Madhur has been practicing different styles of yoga (Ashtanga, Kundalini, Tantra, Hatha) and he is also an accomplished Sivananda practitioner. His understanding of various healing arts along with his extensive background in Ayurveda, Rebalancing, Pranayama and Relaxation techniques have catapulted him among the best Yoga Trainers in the world. Madhur is master of “BioDynamic Breath and Trauma Release” as well and helped his students in this area. Madhur has structured each training program keeping in mind his practical experiences and what he found over the years were the training gaps that needed to be plugged. The programs, therefore, are perfectly balanced with theory and practical and help every student achieve the complete balance of mind, body and soul. The different styles of yoga viz. Ashtanga Yoga, Sivananda Yoga, Kundalini Yoga, Tantra Yoga & Traditional Hatha Yoga have been combined so one can choose the way a student wants to practice to get a perfect harmony. 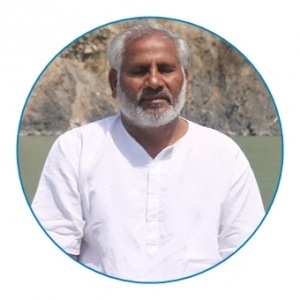 Om Prakash Dabhekar is from Pune (Maharashtra) and certified from Kevlya Dham Yoga Institute Pune. After that for more asanas practice and anatomy which is the foundation of yoga. He joined 2001. BKS Iyengar Guruji Yoga Institution in Pune, taking asanas classes under Prashantji and Geetaji, which has been the main source of my knowledge and understanding of yoga and how to use props to reach final pose. Even till now he goes to Iyengar Institute for my self-practice and focuses on anatomy and physical science. After having a long experience he has written new and timely 1st, Edition on yoga postures and it,s benefits, The book name is (Yoga For Healthy Living). He is one of best teacher, he has vast Knowledge of Therapeutic yoga knowledge which he has acquired from Iyengar institute Pune. He has been associated with the school for a long time. 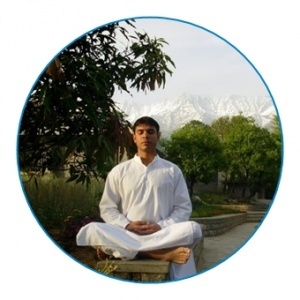 Born in Gujarat, Acharya Yogesh is a great teacher of traditional Hatha yoga, philosophy, cleansing processes and pranayama techniques. His eminent specialties and passions include chakra therapy/cleansing and balancing. He was a topper in postgraduate ‘Yoga Studies’ at Kaivalya Dhama Yoga Institute in Lonavala – one of the oldest and the most traditional Yoga institute in India. He now practices alternate healing therapy, a combination of psychological counseling, Ayurveda, Chakra therapy, Mudra therapy, Yoga and Pranic healing. Over the years he has developed a completely scientific attitude towards spiritual practices resulting in an amalgamation of both Eastern feeling and Western mind. 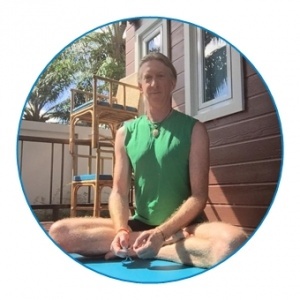 Neil is a certified RYT 500 Multi-Style Yoga teacher currently focused on therapeutic Yoga. He brings the experience of practicing, studying and teaching Ashtanga, Hatha, Vinyasa Flow and Therapeutic Yoga classes around the globe. Neil’s passion for Yoga began almost twenty years ago as it helped him restore his body after numerous injuries in the life filled with competitive sport. An intense interest developed in the human body and its systems as well as Yoga’s effects on activating internal energies using breath, mudras and meditation. As a therapist Neil uses the science of asana help bring remarkable results in posture correction, improved balance, injury recovery and pain relief. Neil’s classes are filled with positive energy, inspiring students to approach asana from an anatomical as well as an energetic awareness. Passionate about the philosophy behind the world of Yoga and various styles such as Vinyasa Flow and Ashtanga Vinyasa, Bjoern’s deep passion lies within the therapeutic powers of asana practice on both the body and mind. Lenka is a professional guide/coach, psychotherapist and yoga teacher. Lenka was born in the Czech Republic and lived in and around Europe and traveled around the world sharing her energy. Coming from a dance background and snowboarding she injured herself which led her to the path of yoga and healing. After discovering yoga as a personal journey, Lenka has also taken a course in Hatha Yoga and Meditation and has been sharing her knowledge in these fields for many years. She is a trained professional in dealing with Kids Yoga as she has been conducting Summer Camps in Europe where she heads the program and this makes her fully aware of dealing with sensitive energies. After having started her yogic journey Lenka came to India to deepen her understanding of the science of yoga and completed her 200hrs and 300hrs Teacher Training programs. Her special expertise in yoga includes Vinyasa Flow, Hatha Yoga and Yin Yoga and mainly Emotional Yoga Therapy. Emotional Yoga Therapy includes psychotherapy which goes from couch to yoga mat. Emotional memories are stored in our body. Lenka creates these classes as practical tools that integrate yoga, meditation and western psychotherapy. Altogether brings connection which discovers where emotion, life force, and pain are blocked and then work to develop awareness, heal and live freely and fully. Having studied philosophy and psychology and being a Psychotherapist, Alternative therapist and Meditation teacher she conducts workshops and seminars in Europe and Asia. Her deep interest and dedicated efforts turned her into a loving caring therapist with tremendous personal touch for understanding individual needs. In Yoga Mystica, Lenka teach various yoga classes and meditation. Her main field is Art of Teaching where she creates unique classes that will not only give to students the necessary skills and knowledge to become a confident yoga teacher but also help to find their own unique vision and discover their own voice as teachers. Buddhi Prakash has been practicing Yoga from his childhood and has gained profound knowledge and insights into it over the years. After completing his higher education from Agra and Haridwar, he got initiated to Shankaracharya Tradition through his master Maharishi Mahesh Yogi. With an inspiring personality and lively Yoga renditions, he is counted among the best teachers of Yoga philosophy and old scriptures. 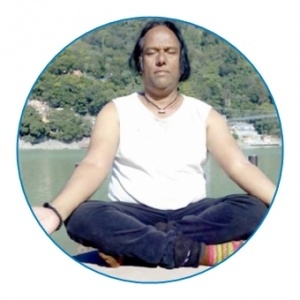 He has established ‘Prakash Yoga Sewa Trust’ in Rishikesh where he resides.